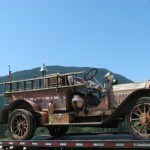 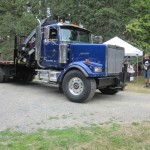 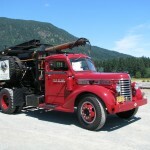 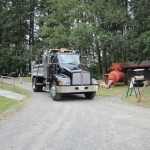 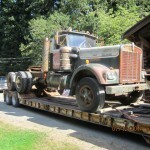 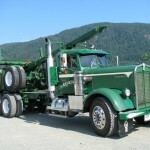 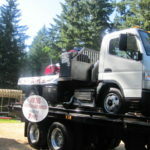 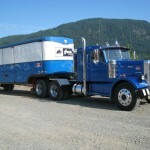 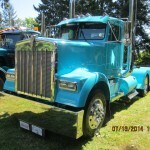 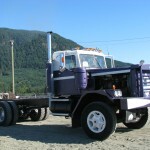 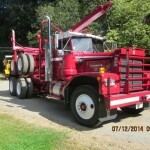 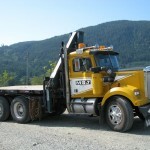 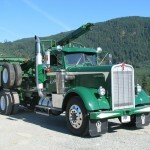 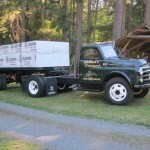 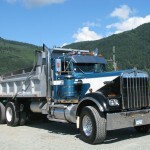 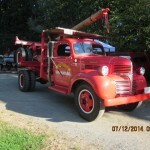 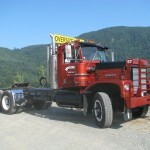 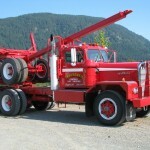 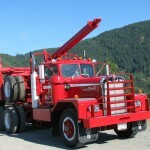 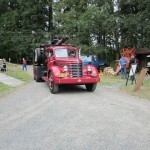 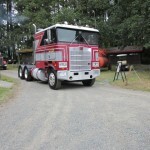 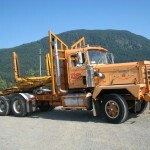 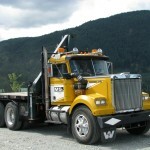 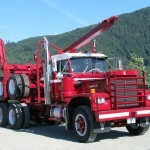 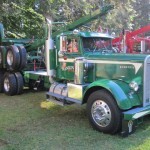 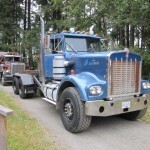 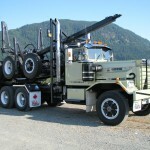 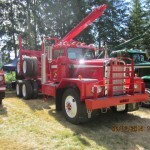 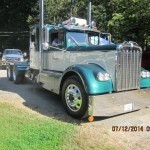 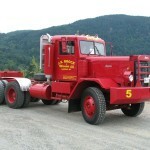 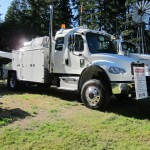 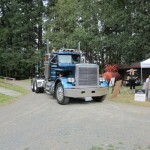 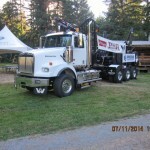 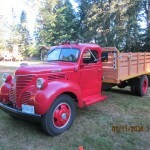 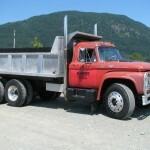 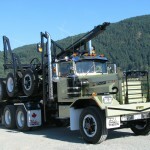 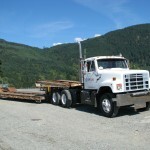 Truck was previously owned by Lyle McBride Priority trucking to haul logs. 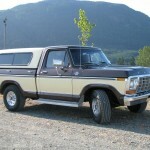 R&R aquired the truck in Apr. 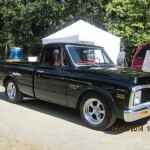 2008 and spent one year restoring it. 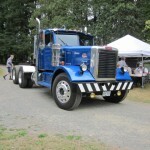 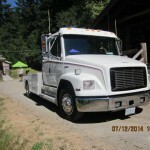 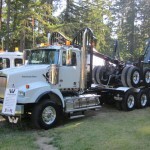 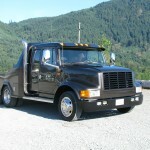 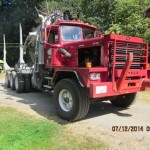 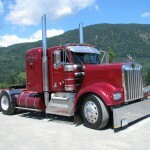 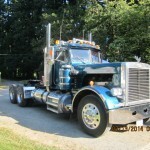 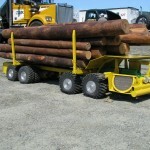 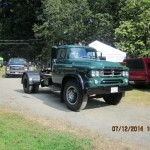 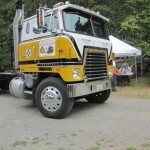 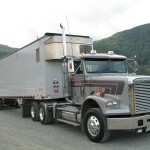 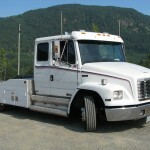 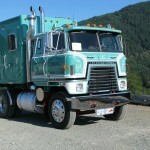 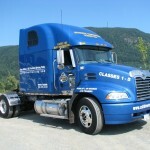 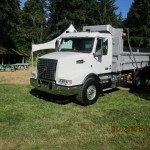 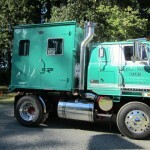 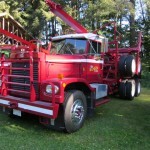 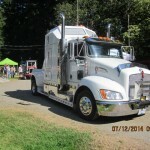 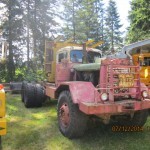 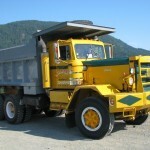 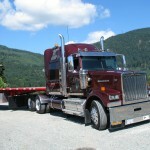 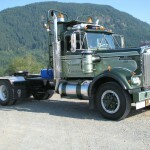 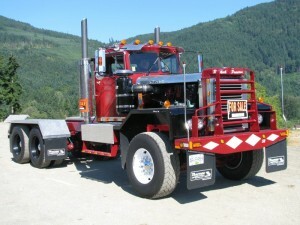 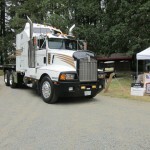 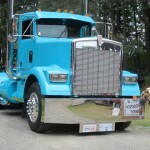 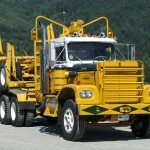 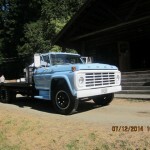 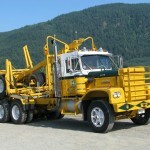 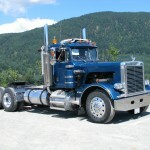 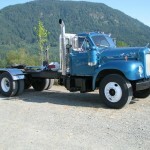 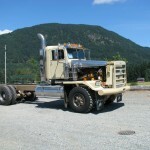 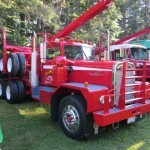 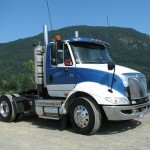 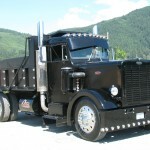 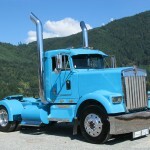 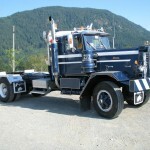 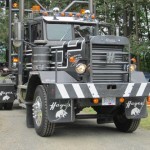 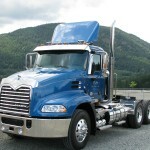 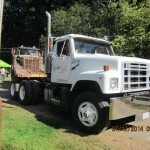 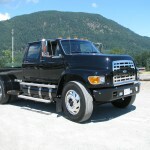 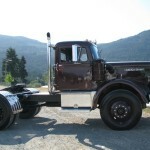 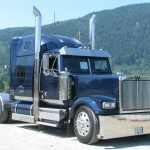 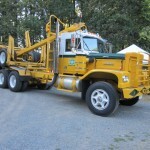 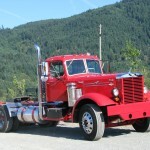 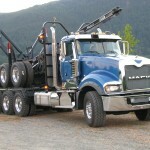 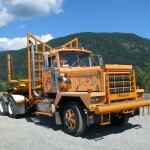 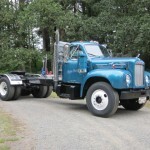 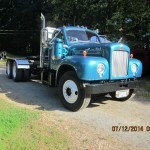 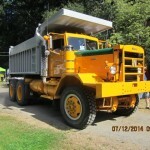 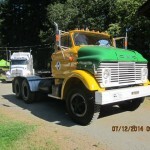 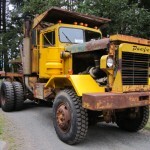 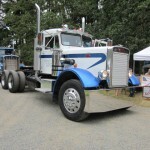 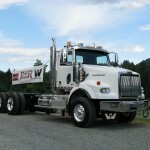 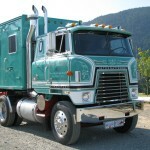 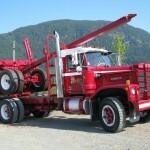 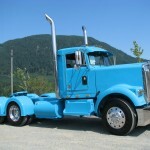 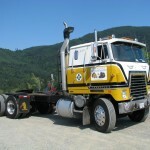 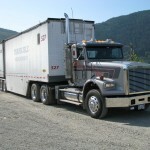 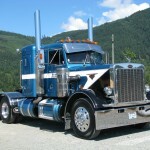 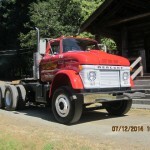 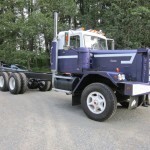 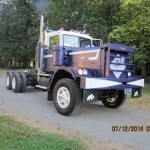 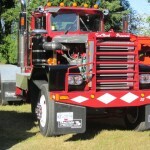 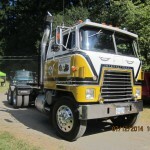 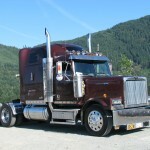 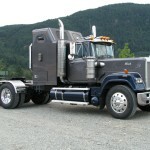 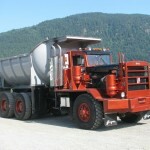 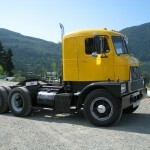 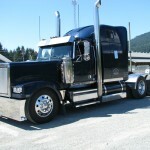 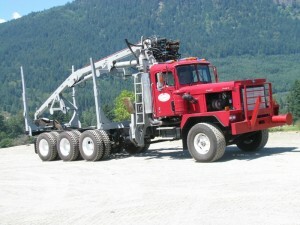 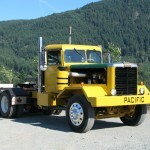 It has a 2000 Freightliner tri-drive suspension. 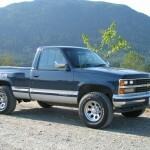 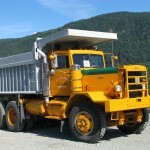 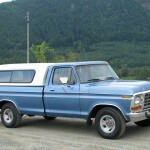 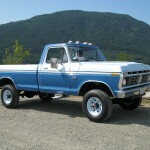 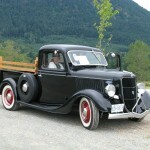 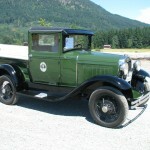 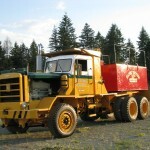 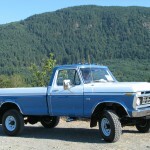 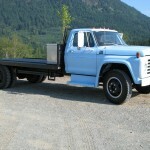 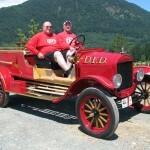 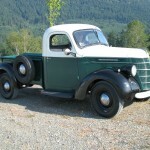 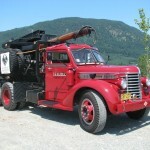 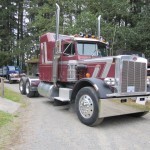 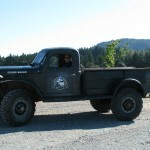 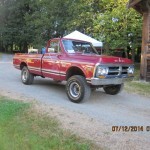 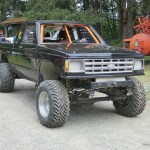 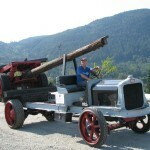 Trevor purchased this truck in Saskachewan in 2001. 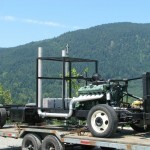 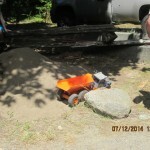 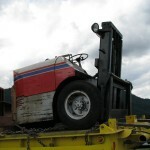 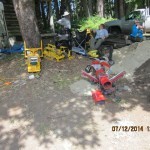 It was running, but as it had no brakes, it was shipped by trailer to the Island. 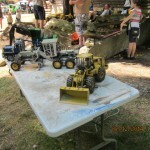 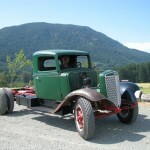 Years of driving over fields of ruts had taken their toll on the suspension requiring extensive repair. 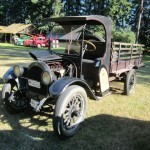 All new brake components were used. 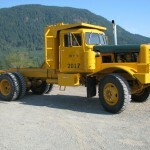 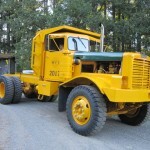 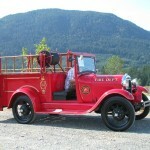 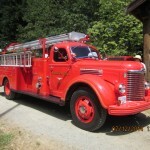 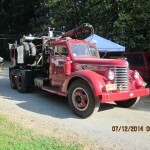 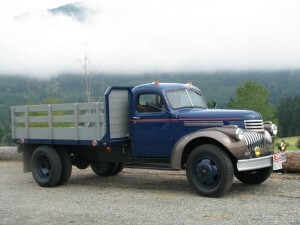 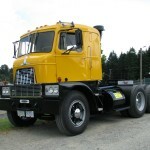 The original 216 was replaced by a totally rebuilt and balanced 235 from 1954. 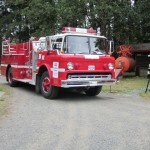 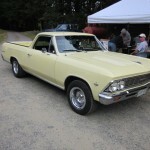 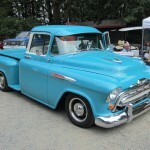 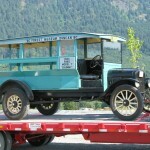 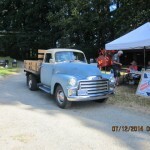 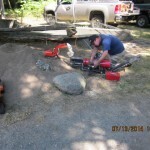 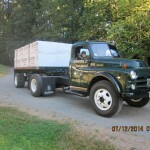 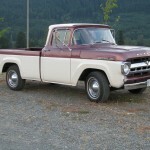 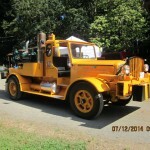 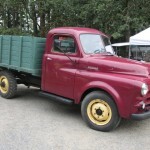 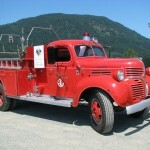 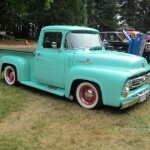 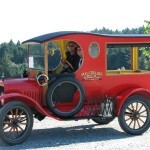 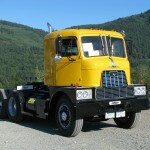 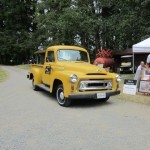 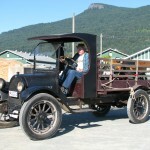 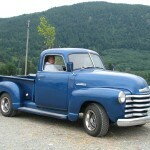 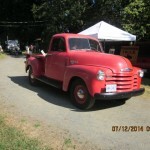 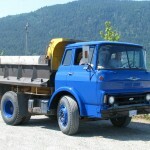 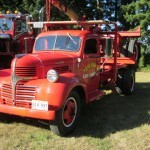 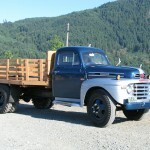 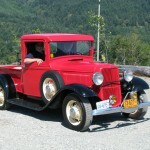 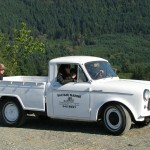 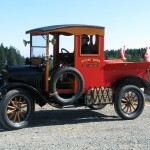 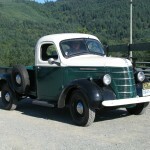 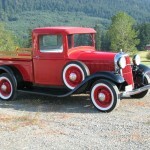 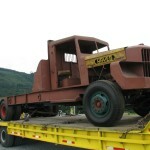 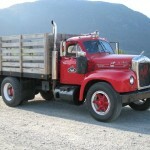 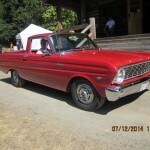 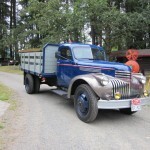 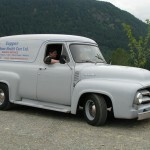 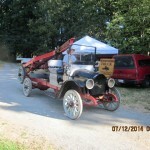 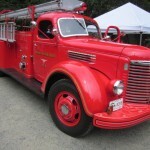 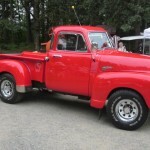 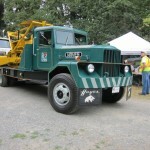 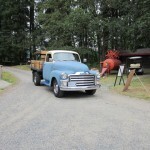 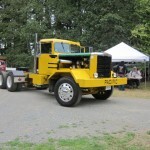 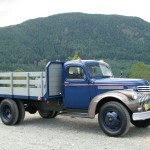 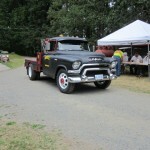 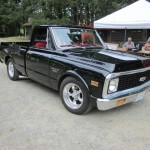 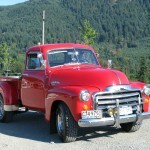 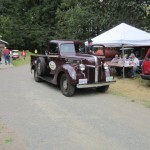 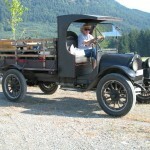 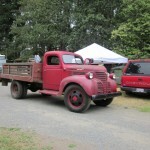 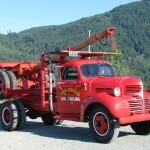 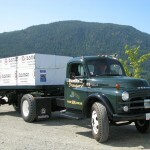 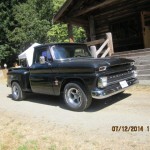 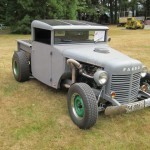 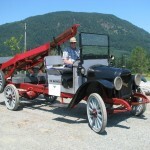 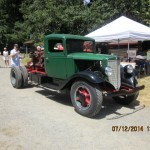 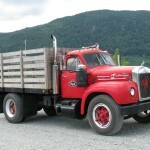 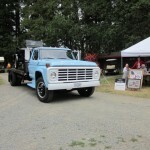 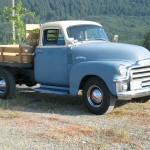 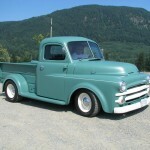 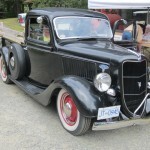 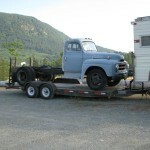 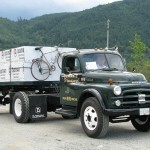 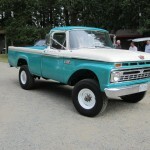 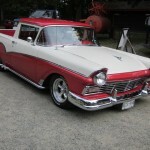 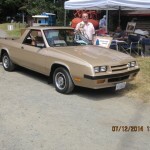 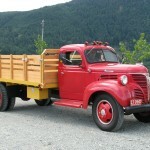 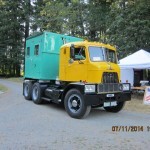 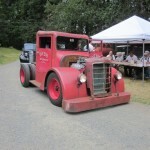 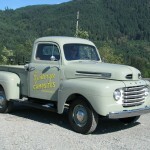 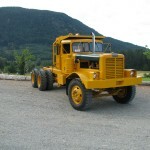 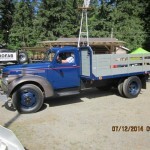 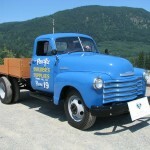 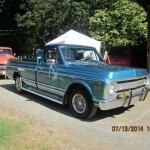 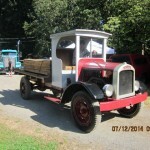 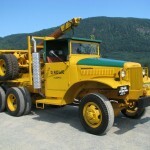 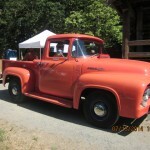 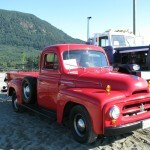 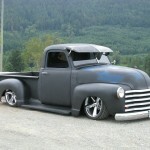 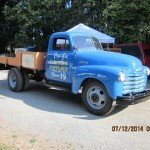 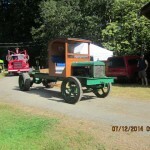 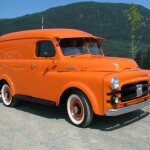 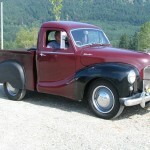 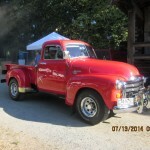 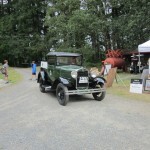 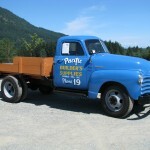 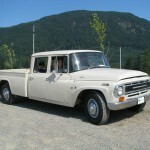 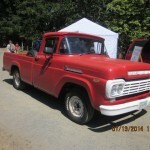 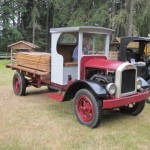 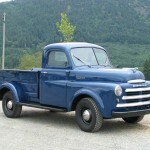 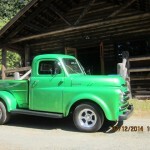 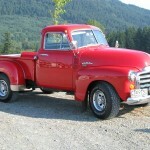 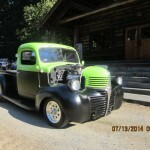 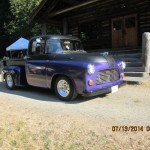 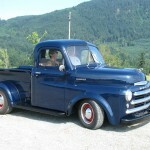 The old 4 speed crash box was replaced with a 4 speed syncromesh from a 1965 1 ton Chev. 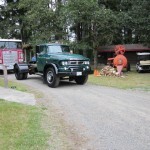 The rear differential had new crown and pinion fitted. 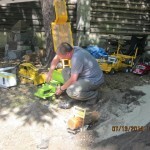 All wiring was replaced and updated to 12 volt system. 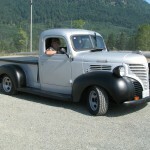 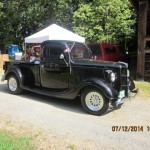 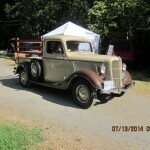 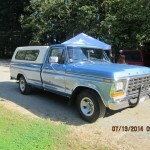 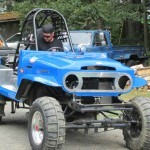 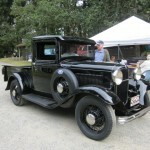 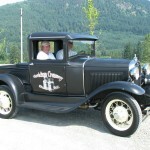 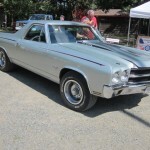 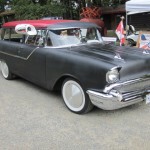 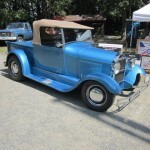 Extensive body and paint was done, as well as new windshield and moldings. 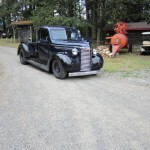 The grill was rechromed. 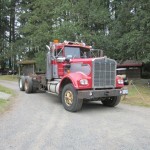 All new tires and a flat deck completed the exterior. 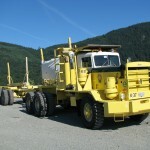 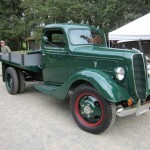 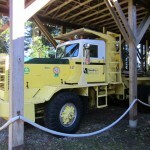 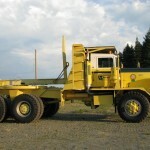 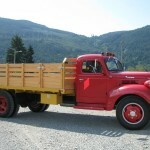 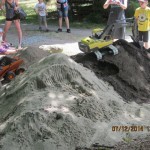 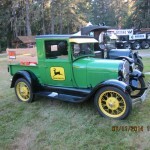 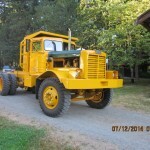 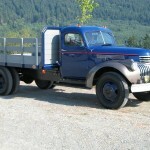 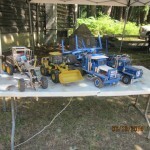 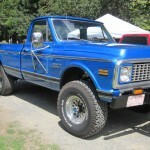 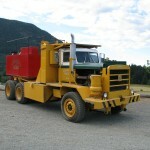 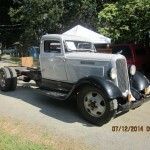 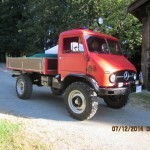 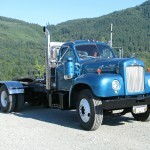 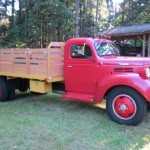 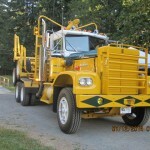 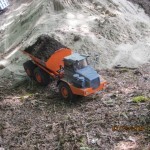 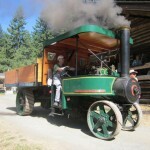 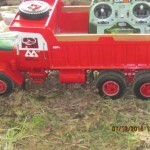 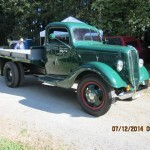 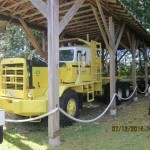 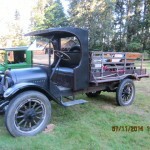 Truck was finished and on the road in January 2011.